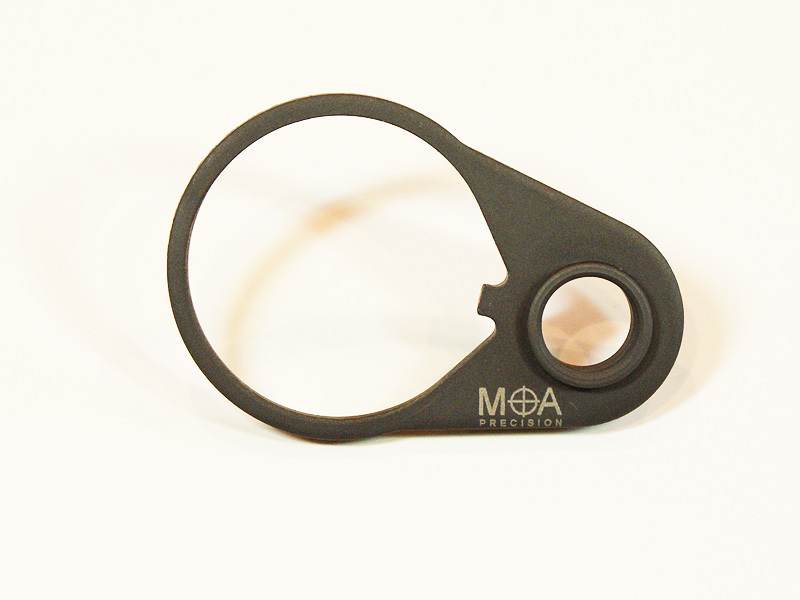 MOA Precision Quick Disconnect (QD) Endplate. All-steel construction. Does not add weight or bulk, and still allows Mil-Spec stocks to be fully collapsed with sling installed. 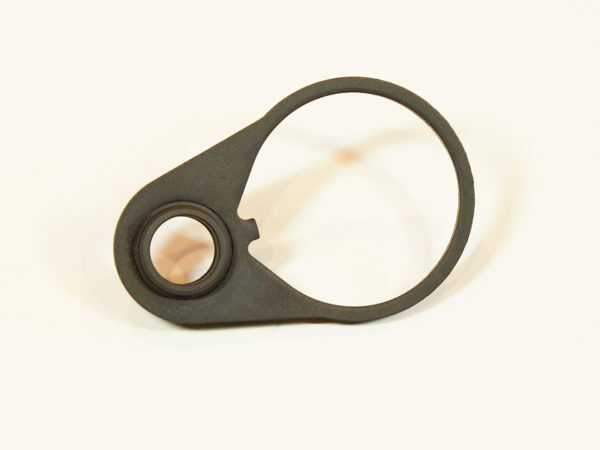 Used as an OEM component by a major High-End manufacturer of AR-15s. Quantity pricing and custom lasering available. Call for details.